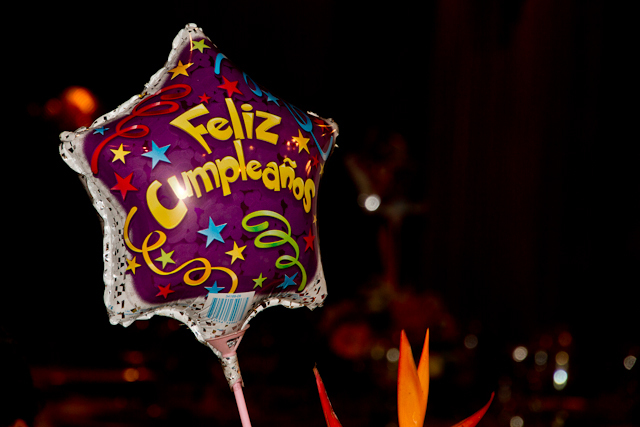 LIVING IN CUENCA ECUADOR - FELIZ CUMPLEANOS - An Ecuadorian Family Birthday! 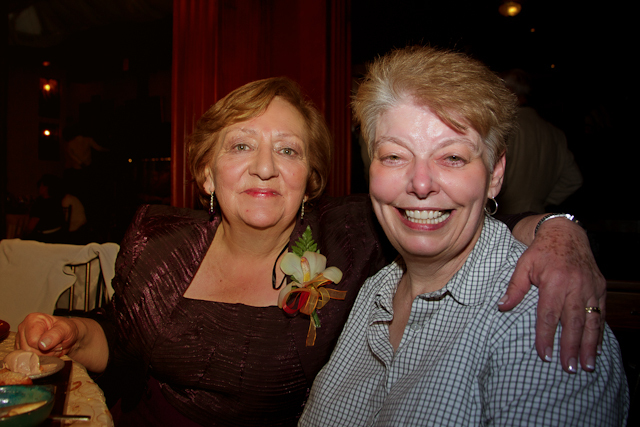 Our friend, Carmen, turned 75 years old last Saturday, and what a celebration it was! 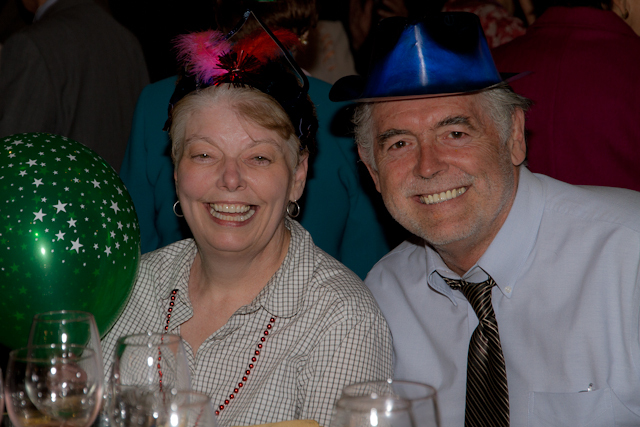 Bo and I, and our friend, Sandy, were invited to this Ecuadorian Family's gala event, and it was one of the most joyous, loving, and fun times we've had since living here. 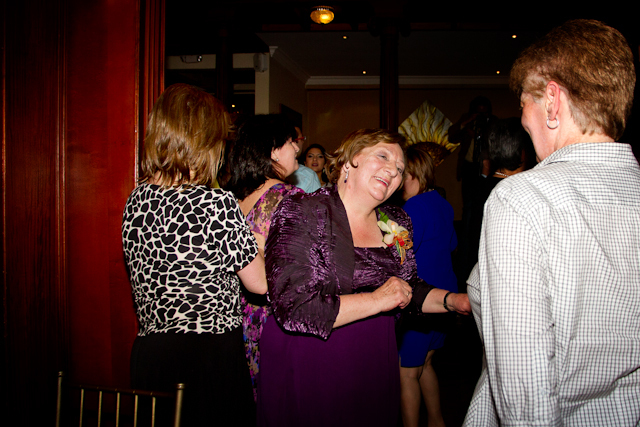 We met wonderful people, family and friends of the guest of honor, and we drank, ate, and danced for hours. 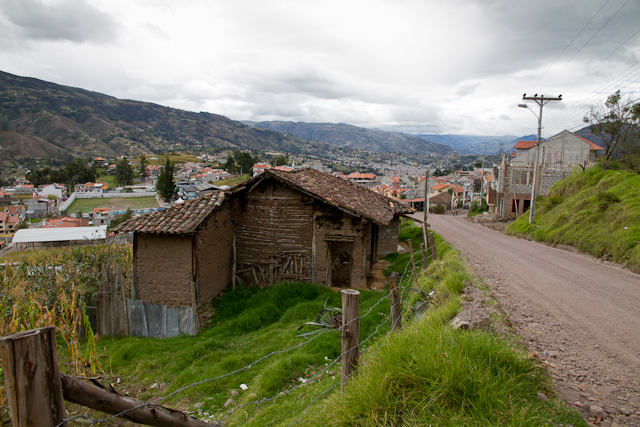 We were honored to be invited to and included in this private family event, and knowing Carmen and her family has added more meaning to our "life in Cuenca." So how do we know this precious "birthday" woman? 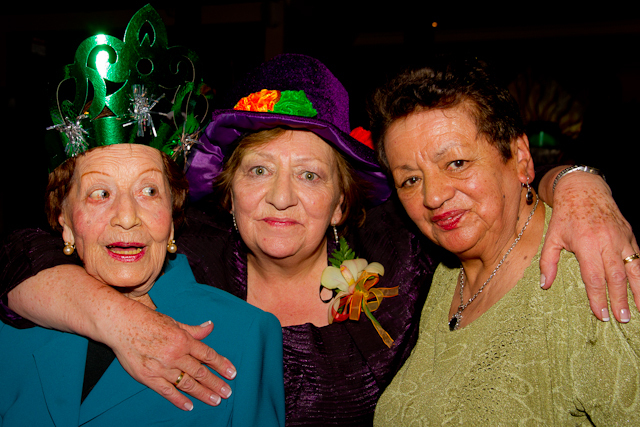 A few weeks ago, we helped our "blog" friend, Sandy, look for an apartment in El Centro. 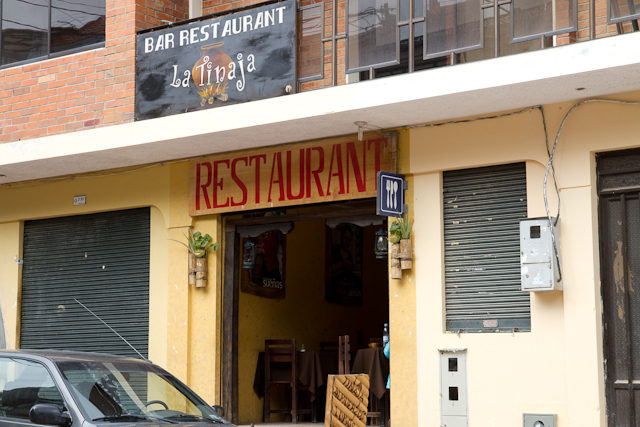 Lo and behold, Carmen became her landlady when Sandy rented the most fabulous place from her three days after arriving in Cuenca. (This apartment was not advertised. We took a wrong turn going somewhere else, and there was a small sign pasted to a jewelry store window - really!!) Because Carmen doesn't speak English, I became the translator for Sandy and Carmen. This is a landlady who takes special care of her renters, and we have now become friends just because she's also so loving and fun to be around. 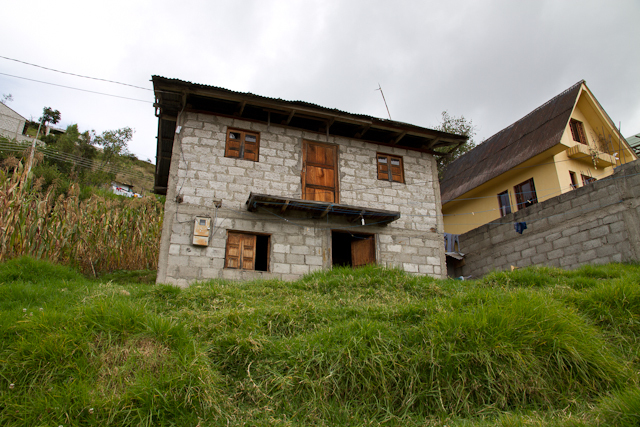 Being able to speak Spanish has once again given us the privilege and opportunity to know another fun and loving Ecuadorian family and to be invited into their home. I could talk to Carmen for hours because she shares from the heart and cares. Sandy is so blessed to have found such a wonderful apartment to now call home with a "duena" who will truly be there for her. It doesn't get better than this, does it? 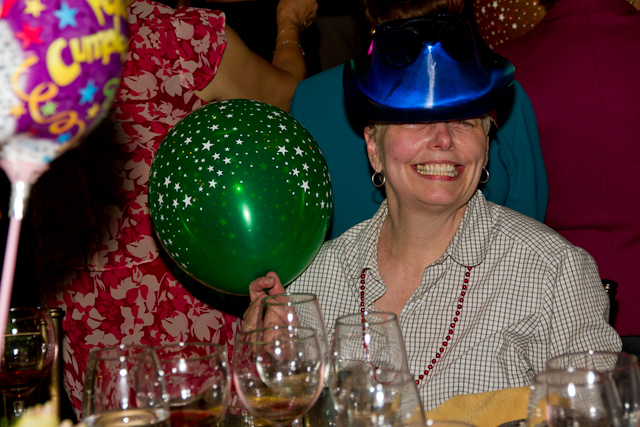 Come and enjoy this fabulous event I was able to capture between drinking, dancing, and laughing! ....but, Carmen was the classiest and most colorful of all! 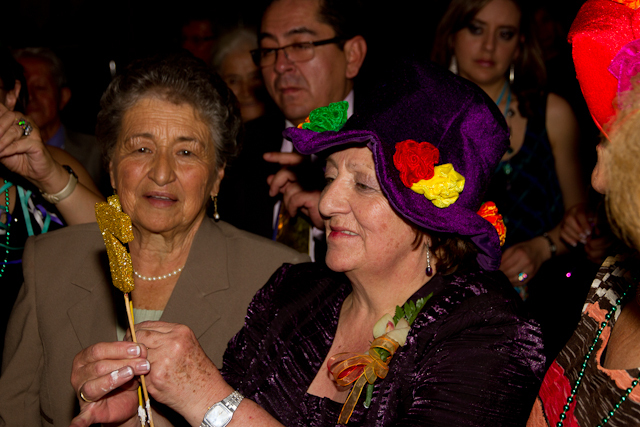 Over 100 guests were dressed to the nines, and now I know why there are so many fancy dress, suit, and shoe shops block after block in El Centro. 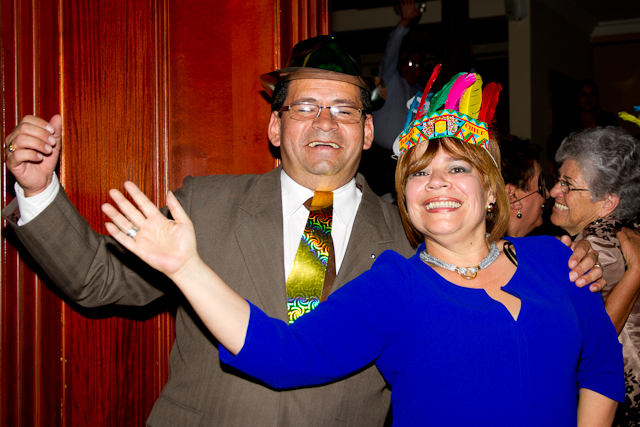 These Ecuadorian people love to dress up and party! 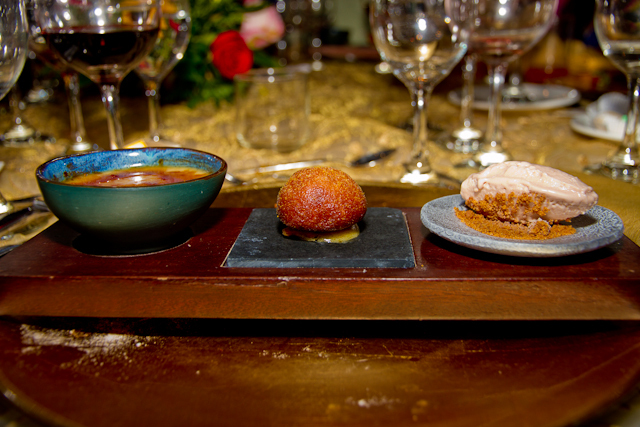 During the dancing and festivities, waiters came around and served each guest this most amazing wooden platter with three incredible desserts on it. Oh, I was in heaven savoring each of these unique delectables. 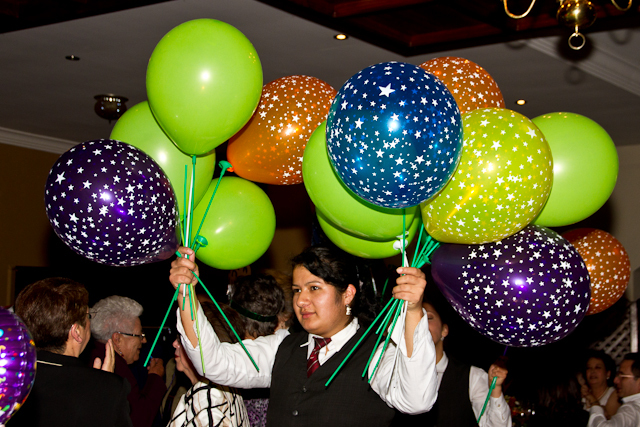 Balloons were distributed to the party crowd, and during the dancing guests popped them and cheered. 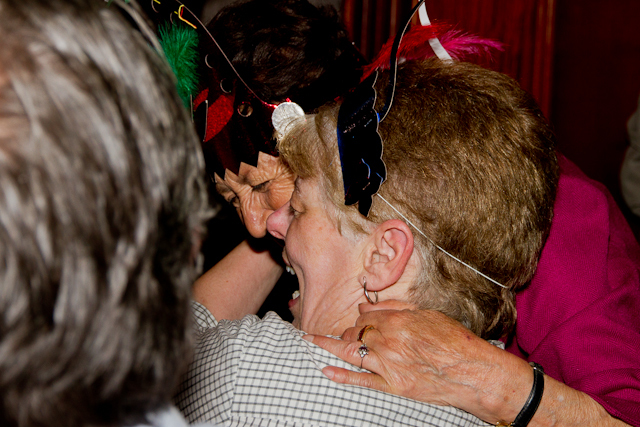 There was joy and laughter everywhere. Lots of hugging and smiling and posing to capture the moment! 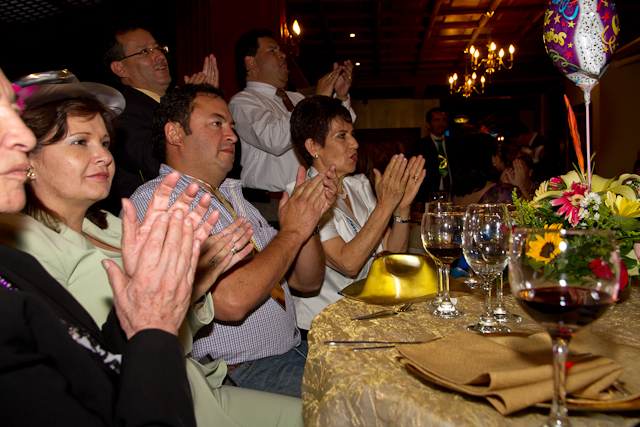 .....and the family applauds and cheers her on to sing "more!" Sandy is having too much loving and fun. 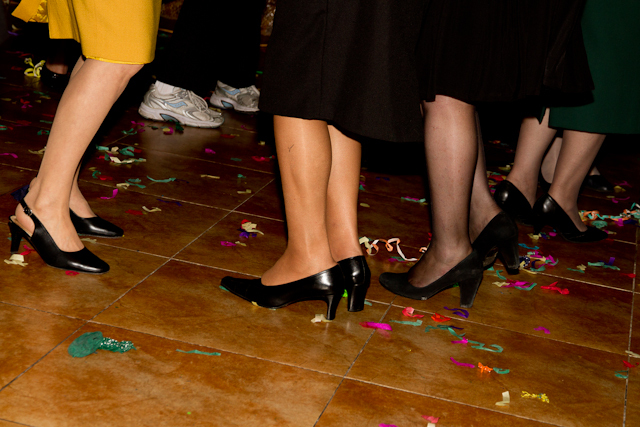 Dance, dance, dance the night away! 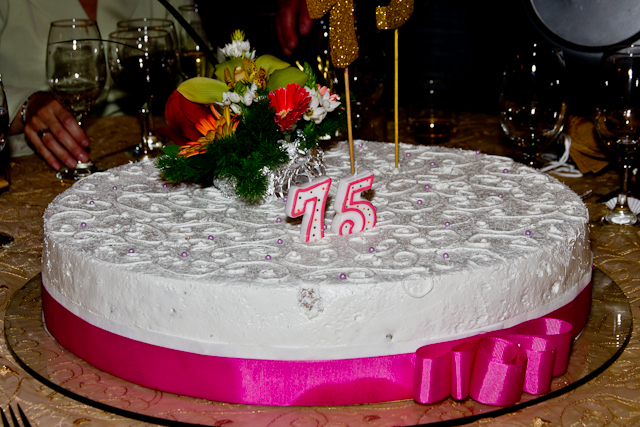 It was one of the most elegant birthday cakes I've ever seen! 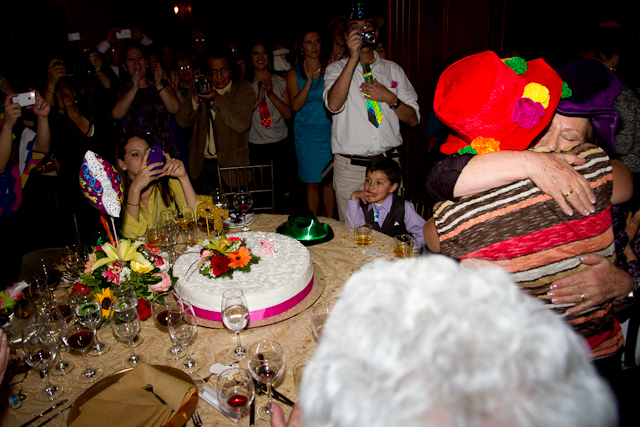 An emotional moment when Carmen blew out her candles and then hugged her sister. 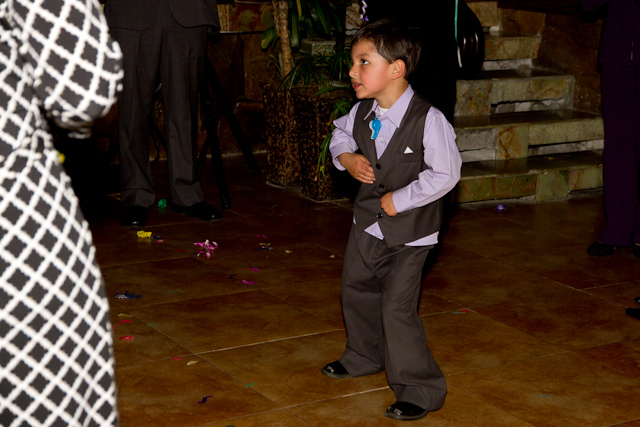 In Ecuador, even children dance the night away - and can they move to the beat! 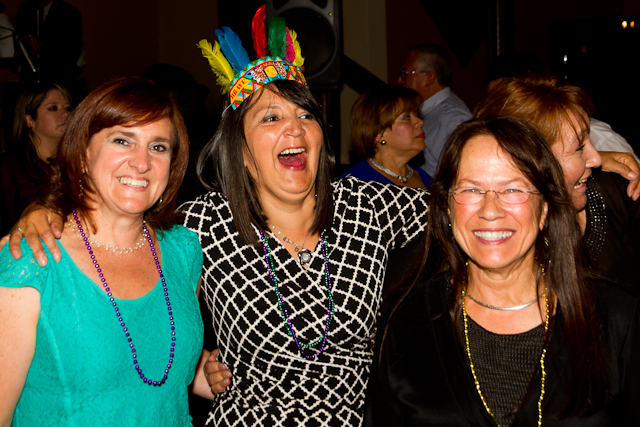 I will NEVER forget this joyous celebration with loving and fun people who included the three of us in Carmen's special fiesta. 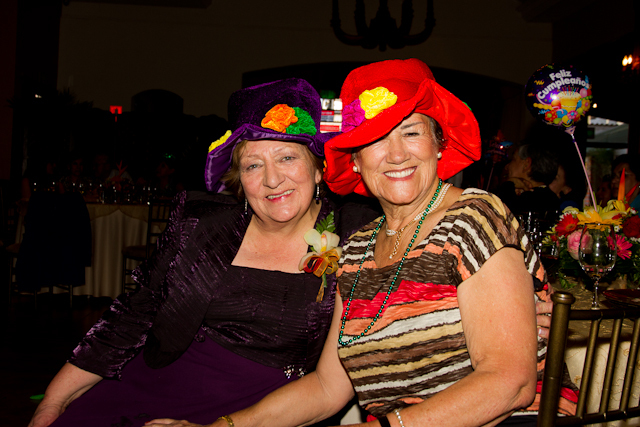 Happy Carmen and her sister are so beautifully adorned and colorful! More posing and what sweet expressions! 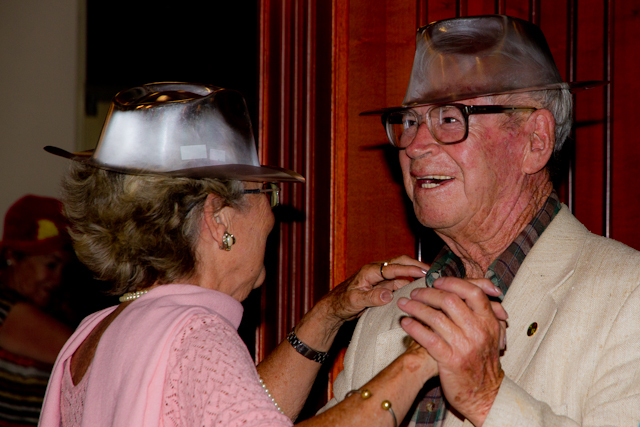 By now, Sandy and Bo are "hat" adorned. Bo's first tie event in over 7 months since he quit Corporate America. We're both enjoying being "Jubilado." 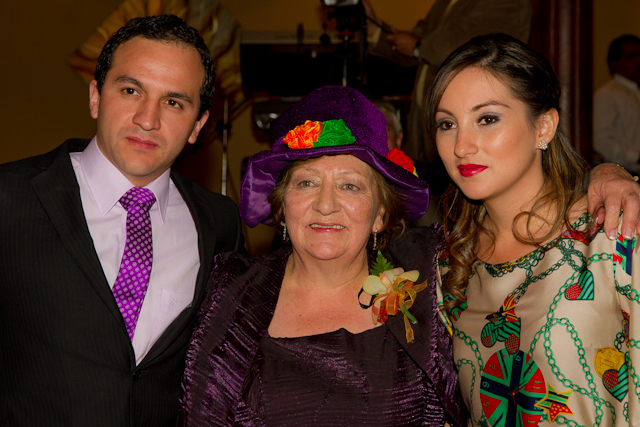 Ecuadorian families are very close, they love to dress up, and they are truly a handsome and beautiful people! ......because there was plenty of wine and good cheer yet to come! 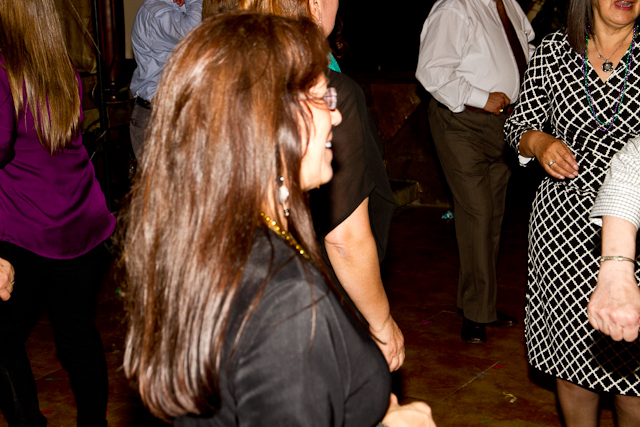 Carmen danced continually - and even Sandy had a cha-cha dance with her friend. 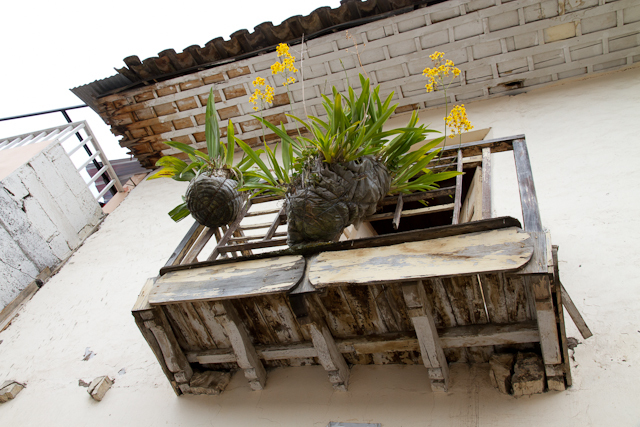 I met Sandy through my blog back in December when she came for her exploratory visit to Cuenca. 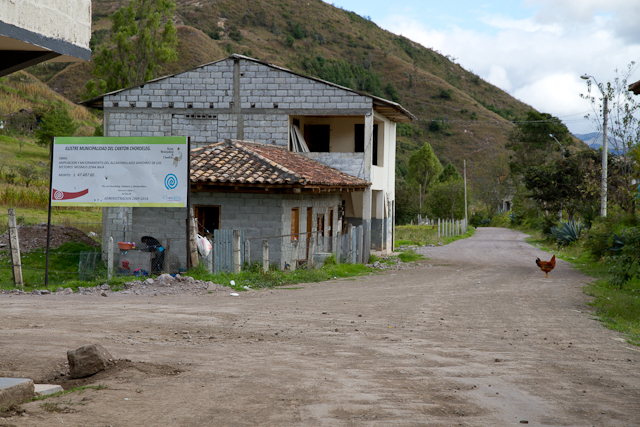 Here she is, six months later, living in Cuenca and happy, partying, and making new friends. 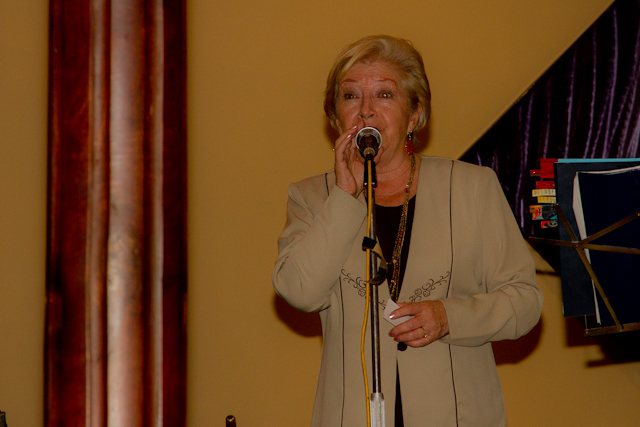 This blog posting is dedicated to a very special woman - Carmen! 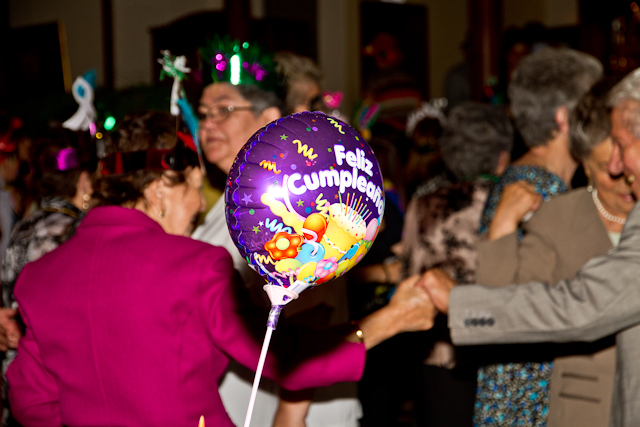 My birthday blessing to our friend: Que Dios bendiga ricamente su año de antelación y que tenga muchos muchos años más para bailar y reír. Thank you, Carmen, for allowing us to be a part of your magical day. 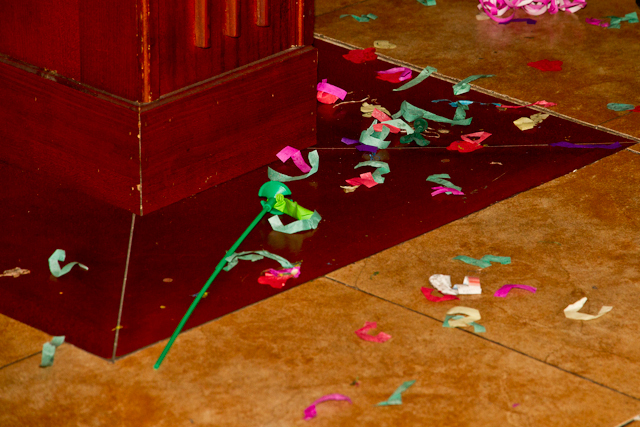 I hope our readers have enjoyed going to Carmen's party. 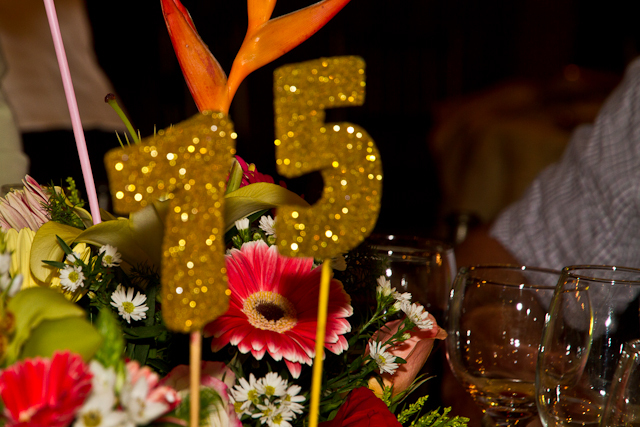 If you haven't had the opportunity to celebrate with an Ecuadorian family and to be a part of their lives, I can confidently say you're missing a wonderful part of being in Ecuador. 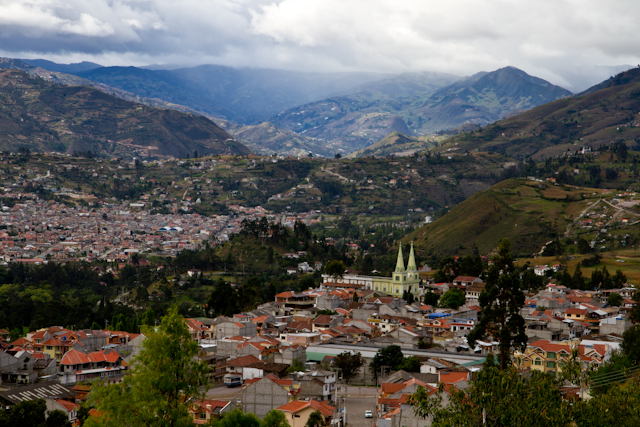 To be a part of the Ecuadorian family culture here is an honor and the greatest part of living in Cuenca for both Bo and me. 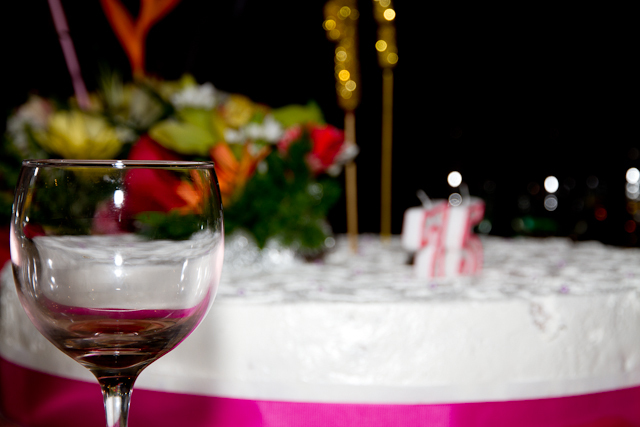 I'm glad I could share this special birthday time with you through my lens. 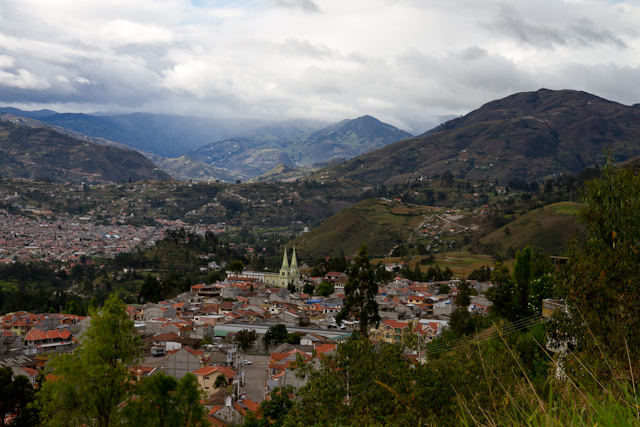 Chordeleg, Ecuador - A "Must See" for Everyone!! 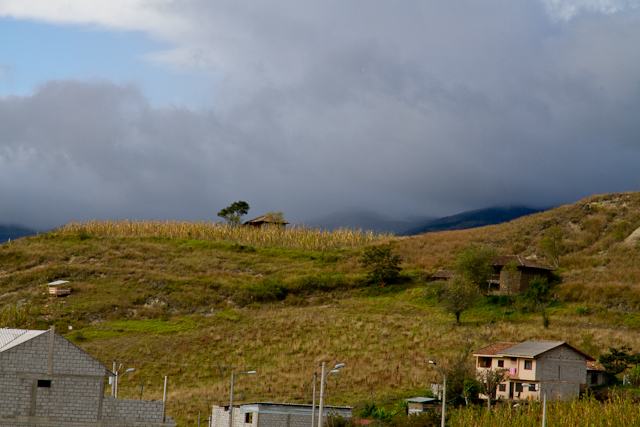 Speaking Spanish, having an engaging personality, loving and embracing the locals, desiring to get to know and learn all about the Ecuadorian people and their beautiful country and culture, and remembering that we are living in their country as guests will often open a door for you to go "behind the curtain." 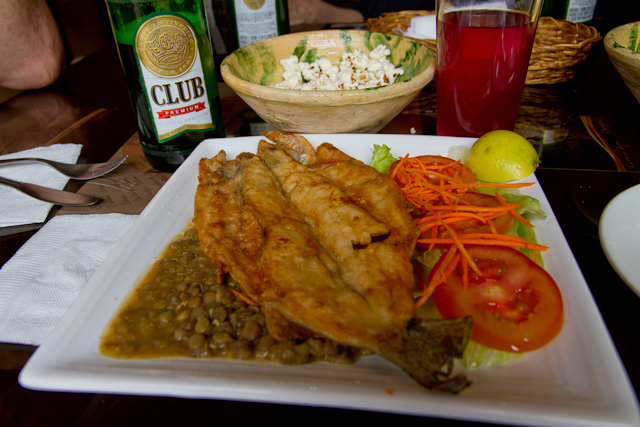 This is the recipe for making the best and continued memories while living here in Ecuador. Bo and I recently visited Chordeleg with two other couples. 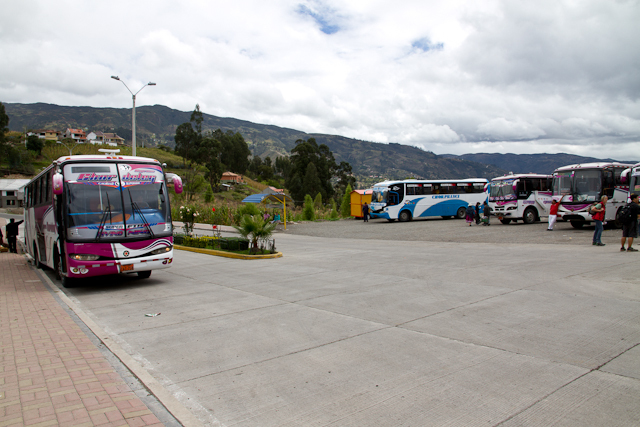 We took a bus there from Cuenca, and it was an exploratory trip for all of us to know another area outside of our city, yet it was close enough for a relaxing day trip. Our friends had to leave four hours later, but Bo and I decided to stay and continue exploring this charming town and breathtaking area. 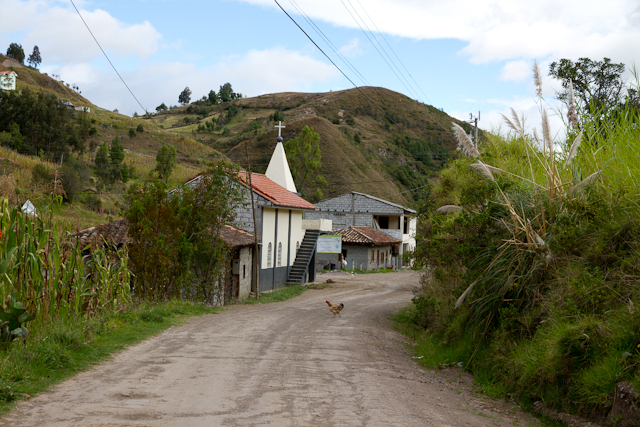 We decided to trek outside of the main square, so we headed up a winding road where the locals are not use to seeing "extranjeros." 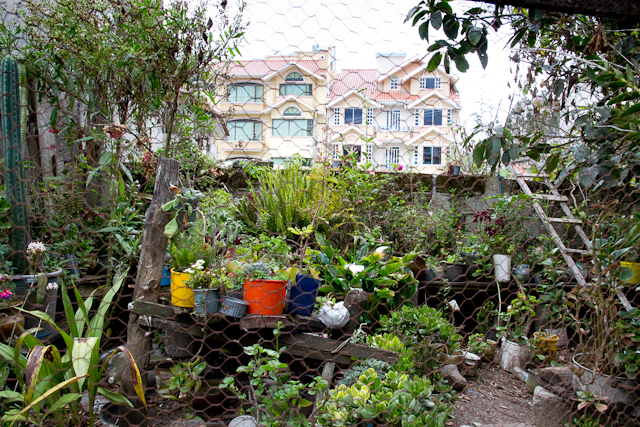 Along the way, we met and talked to several friendly Ecuadorians, and one family embraced us and invited us into their home where we spent a couple hours visiting them. 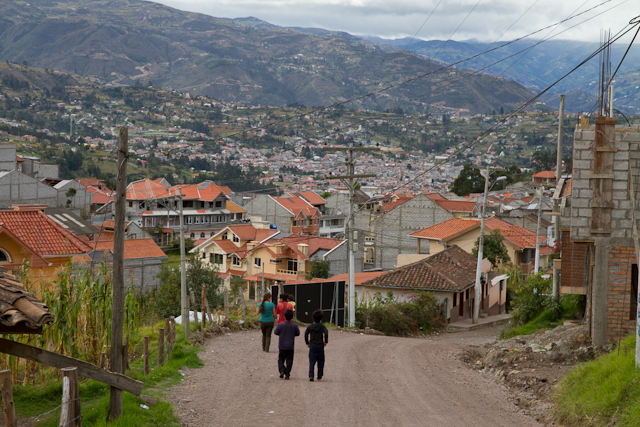 By the time we headed down the hill to catch our bus back to Cuenca, we had hiked for hours, met wonderful locals, and we once again made relational memories in Ecuador. 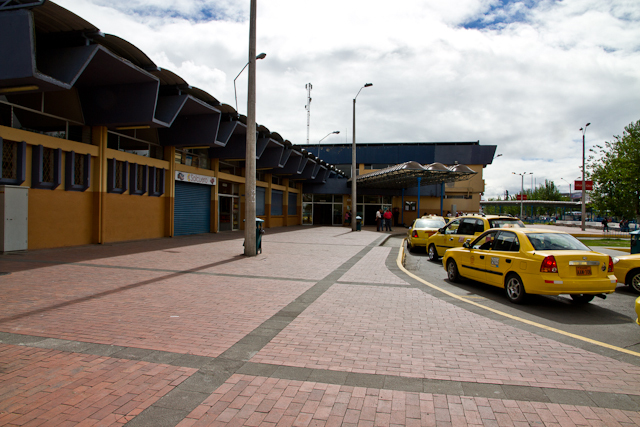 The Cuenca Bus Terminal - TIP: Do not take the taxis lined up inside the terminal for your trip home. They charge a lot more. Take a taxi outside the gates - you'll get a better fare price! Our arrival point - It was a pleasant hour ride into Chordeleg for 60 cents each (x2 Buses)- and a beautiful warm sunny day. ......and my menu selection was their daily fresh Trout. A delicious $3 choice!!!! 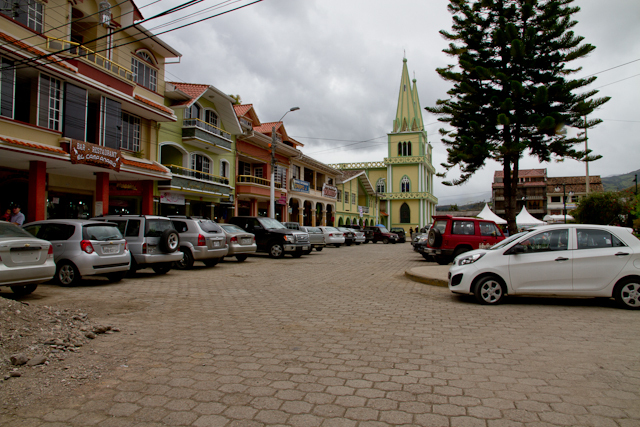 The town center of Chordeleg is quaint and historic, and the shops are abundant with enthusiastic vendors waiting for a sale! 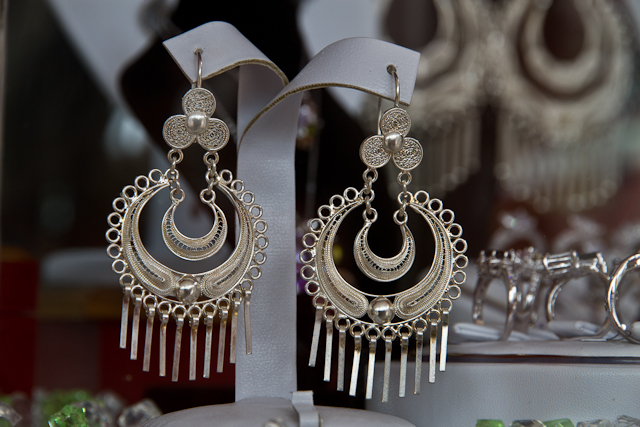 The silver, nickel, and brass Jewelry is unique and elegant! Shop after shop can become tempting and enticing for the visitor and potential buyer. 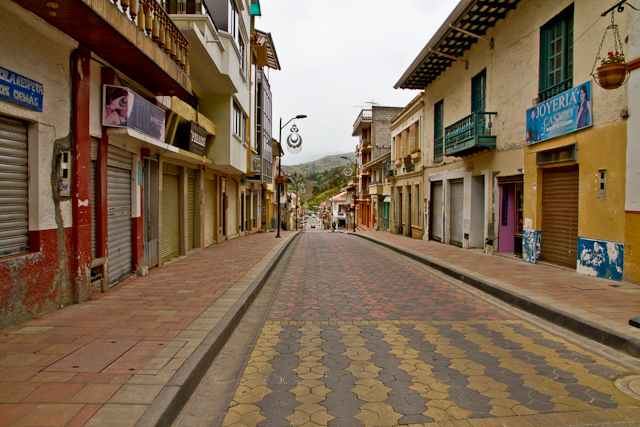 Chordeleg is a charming and colorful city of about 6,000 people. 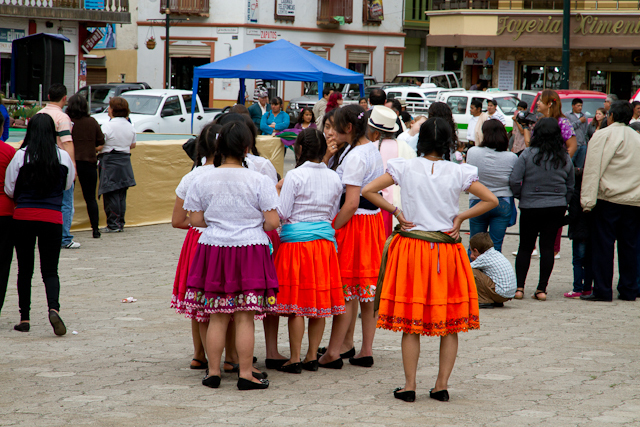 Young girls are adorned in traditional attire as they observe the main square's festivities. 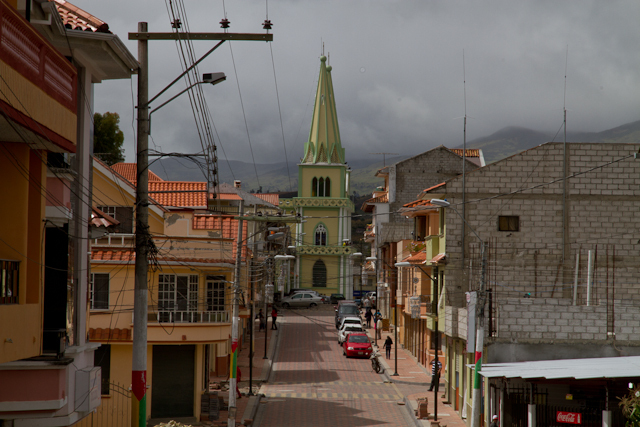 This historic church is the city center's landmark. .......the family members greeted us and invited us "behind the curtain" into their private courtyard. 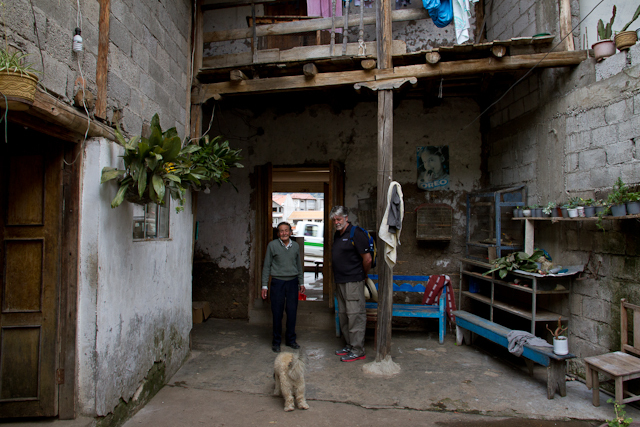 Sr. Guillermo, who is 82 years old, is the owner of this old and beautiful home. 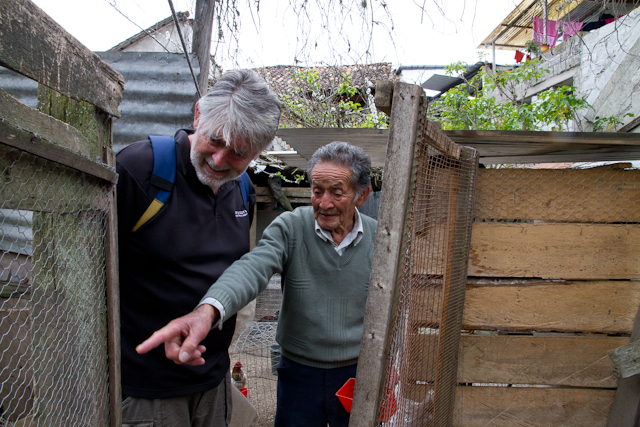 He was so gentle and friendly - and with open arms he said, "Come, let me show you our home." Who would have known that behind closed doors he was raising fighting roosters! 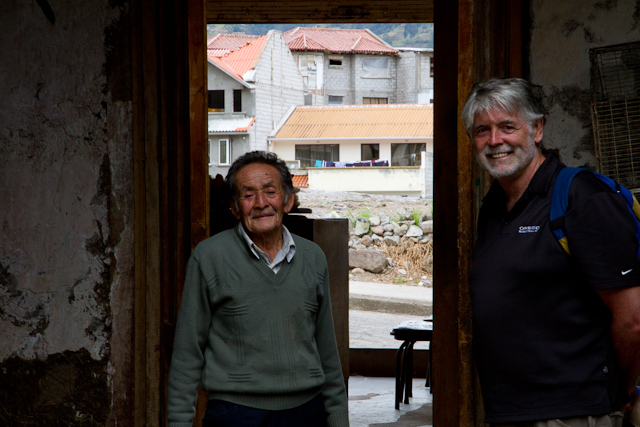 His shy daughter, Marta Inez, also welcomed us and began to proudly show us around their historic home build before the turn of the century! 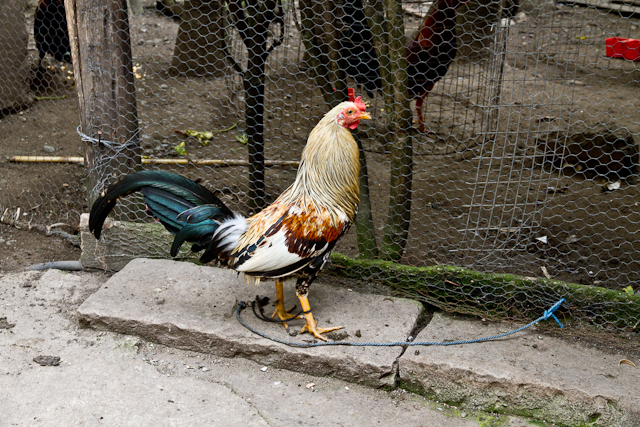 There were lots of caged roosters - over 50 in all! 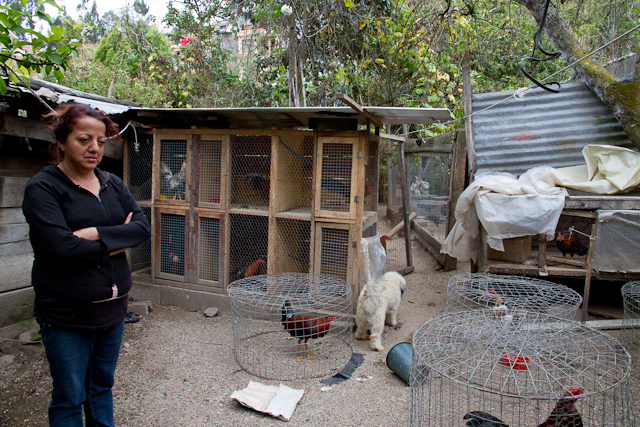 Guillermo proudly points to his favorite "fighter" rooster. Their plant area was healthy and thriving! 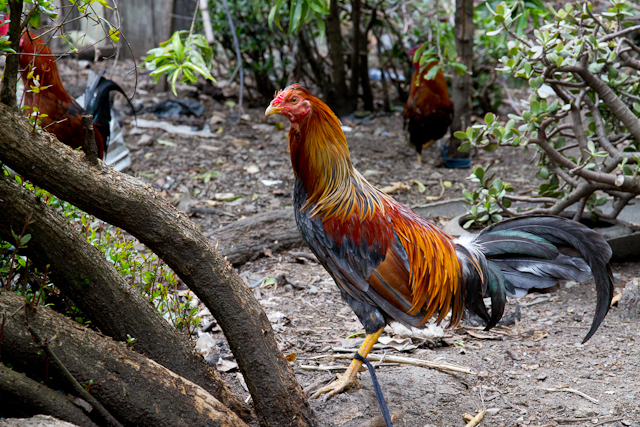 The roosters were curious - and I remained cautious and at a distance as I photographed these colorful fighters! 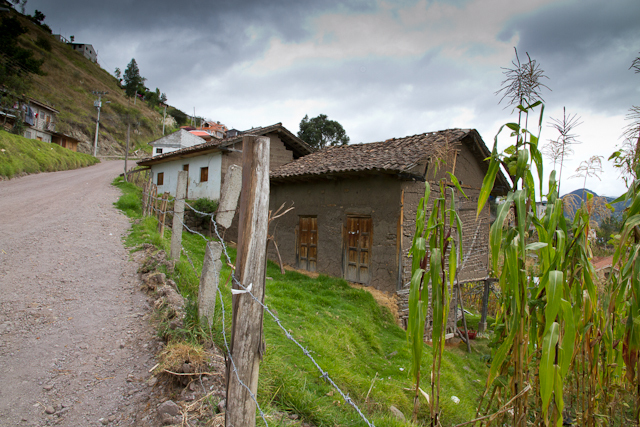 We thanked this family who graciously invited us to return and commented, "Our home is open to you always...." After bidding them farewell, we journeyed on up the long winding hill away from the city center. 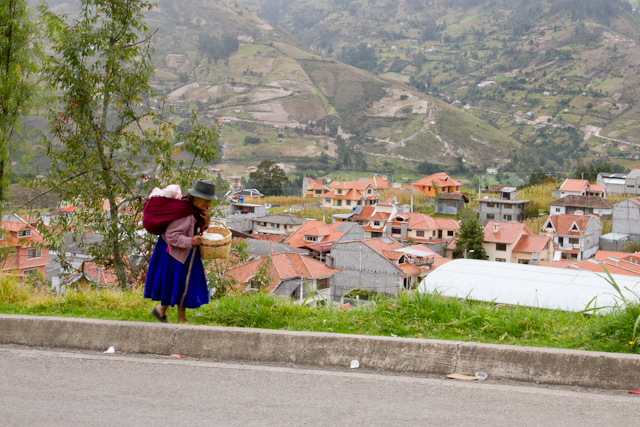 ......and we watched an elderly but strong local indigenous woman slowly making her way down the hill towards town. Where was she coming from? She still had such a long walk ahead of her! The scenery along the way was magical! As we climbed up, up, up, we passed several locals walking down, down, down! 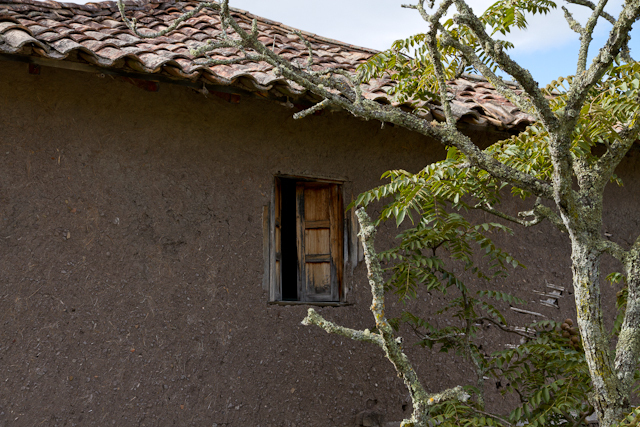 The rustic and roughly fashioned homes were charming. Higher and higher we climbed. 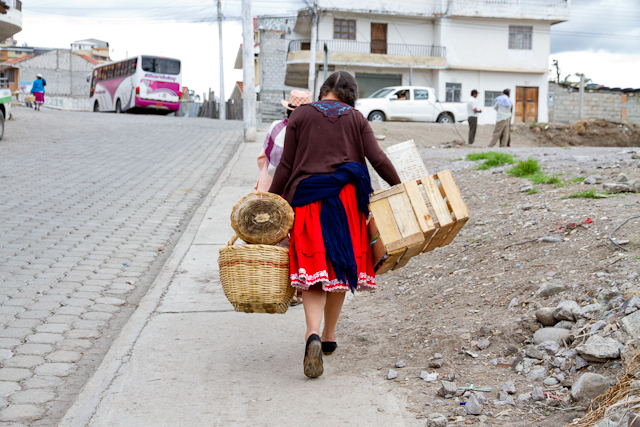 Another local woman journeys down into town. Every home we saw was truly "one-of-a-kind." No cookie-cutter developments in this small and quaint town. 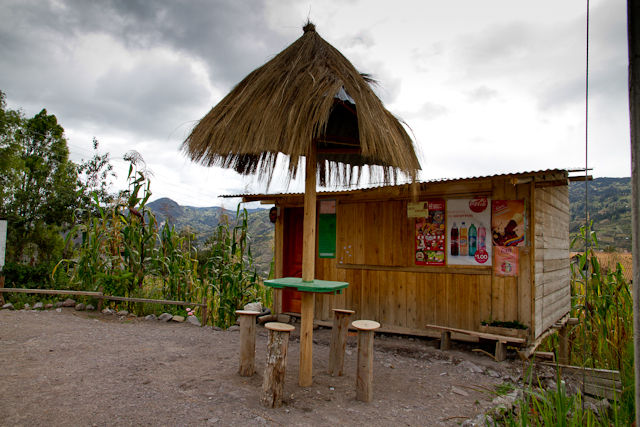 A small restaurant on the hill overlooking the valley was closed. 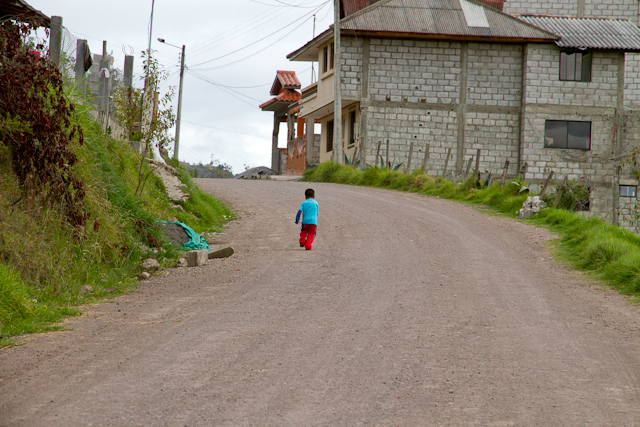 Small children run free in Ecuador - this little boy was running somewhere! 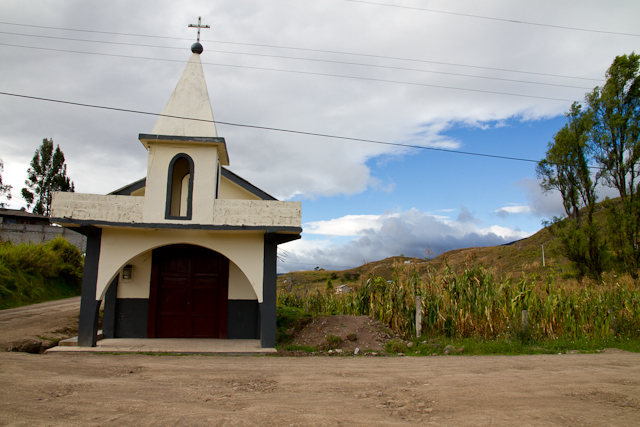 Ahhhh, the church in the town square is looking smaller and smaller as we climb higher and higher! 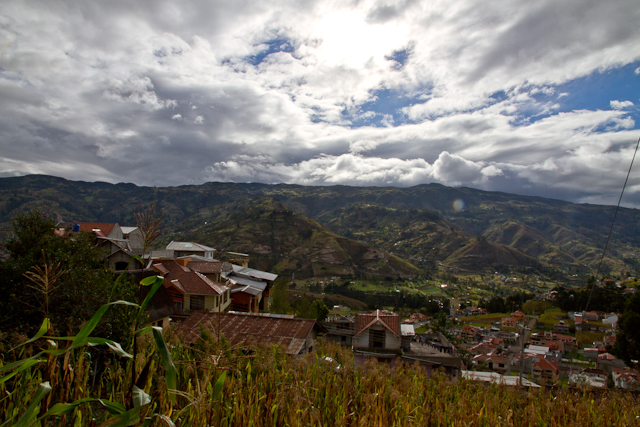 Breathtaking lush mountains border the charming town of Chordeleg! The scenery became more and more spectacular as we continued our climb, wondering what was around each turn. 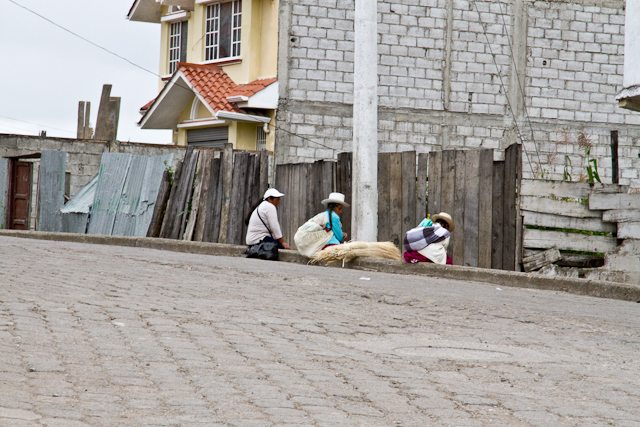 A woman washes clothes (on left) as a rooster watches us get closer and closer! 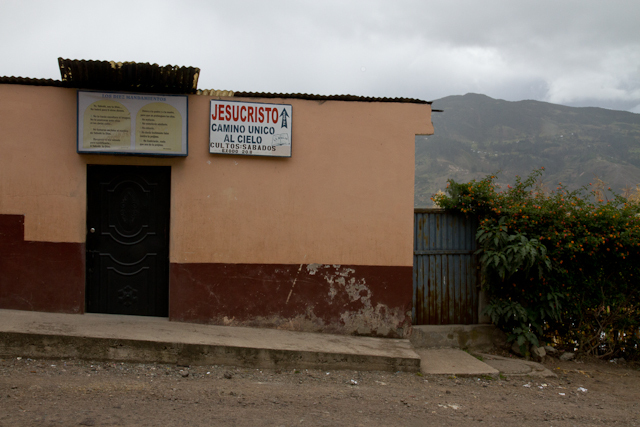 A local told us this tiny church is called "Moos Moos." The sky was so blue and layered with clouds. 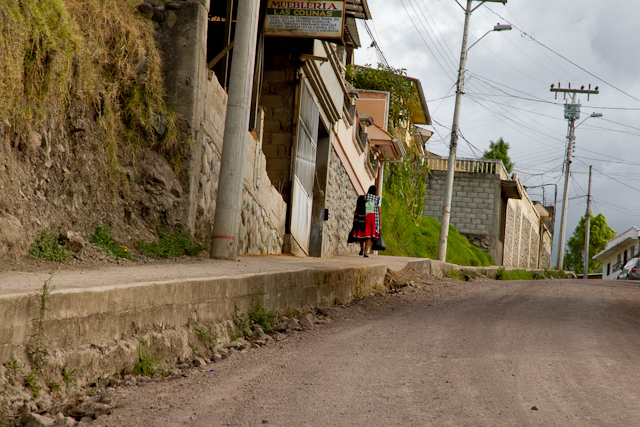 We spoke with several friendly locals along our journey (in Spanish, of course!) and found out that this home on the hill by the tree was empty and for sale! We both wondered, "Who lives here?" 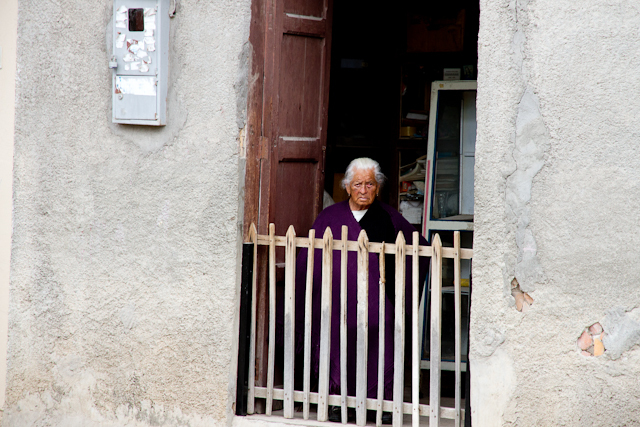 Then a local woman popped her head out and began asking us many questions as we did her. She would not let me photograph her beautiful aged face. We conversed for a long time, then bid each other farewell. The higher we climbed, the more spectacular and majestic the sky and scenery became. 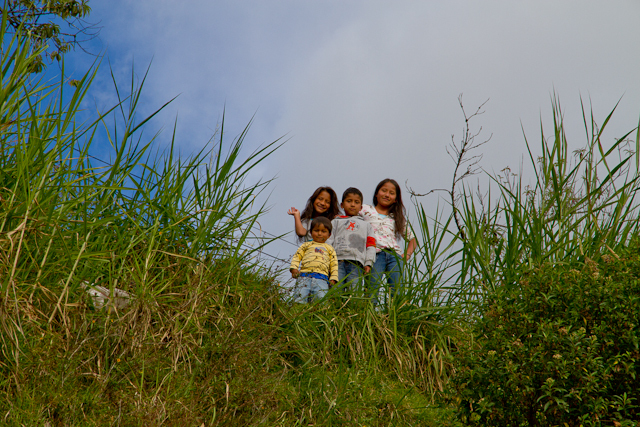 Local friendly children giggled and waved to us from above and then happily posed for my lens! 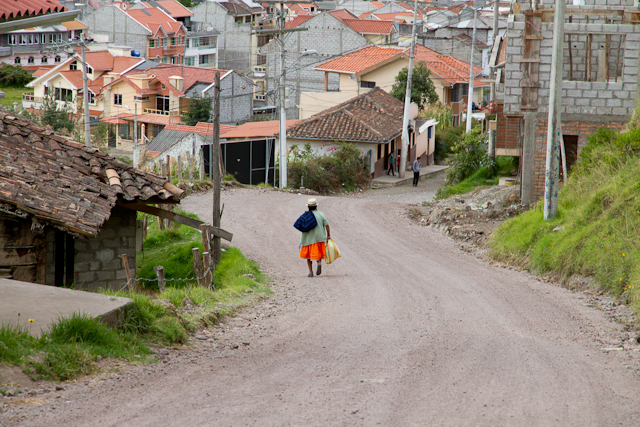 On our journey downhill, we meet Jesus - a local woman on her way home from the mercado who embraced us. We sat along the stone wall and conversed together for half an hour. She asked many questions about us - as we did about her. Finally, she invited us back to Chordeleg to visit her, telling us exactly where she lives. She made us promise to visit her when we return. And WE WILL!!!! She walked away up the hill home, and we walked away, down the hill toward town. 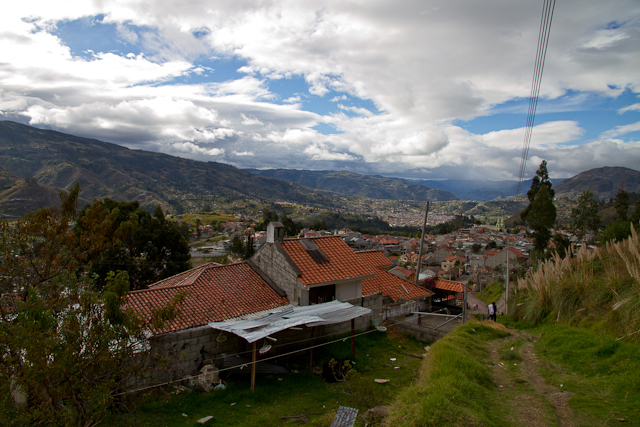 Yes, it was a wonderful day away from Cuenca, visiting a quaint and charming town and meeting some of the kind and friendly locals. 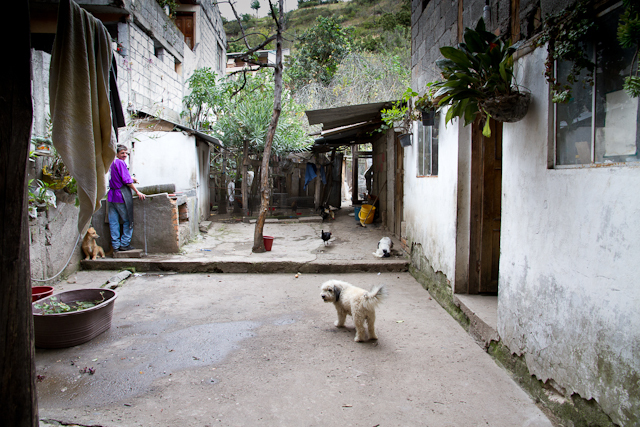 We plan to once again visit those who embraced us along our journey and who invited us to return to their homes. 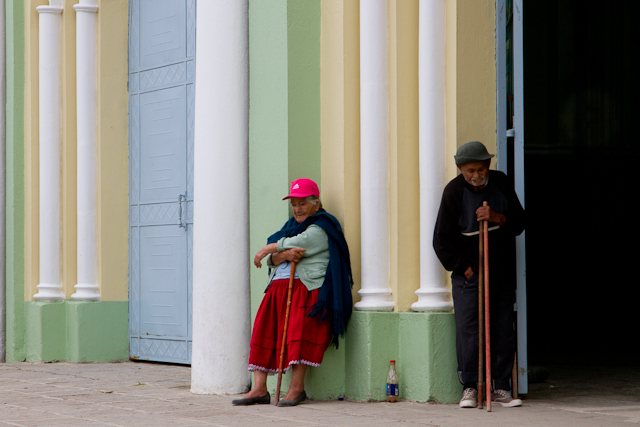 Chordeleg is a must see for everyone - and for us, a must town to return to. 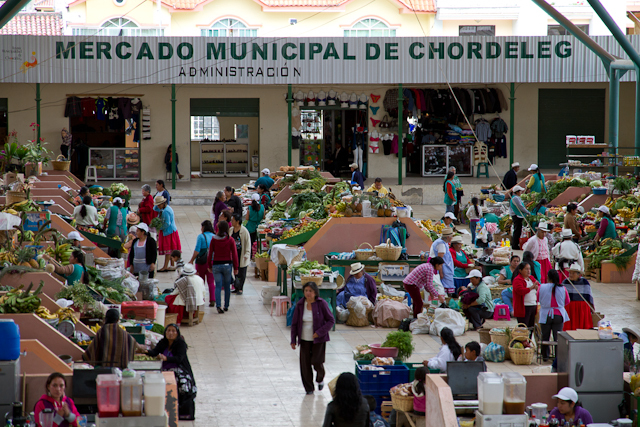 Have you been to Chordeleg?